After this adorable sweater sold out in one day, we had to re-order this beauty! If you know anything about me, you know that I love my clothes cute but also comfy. 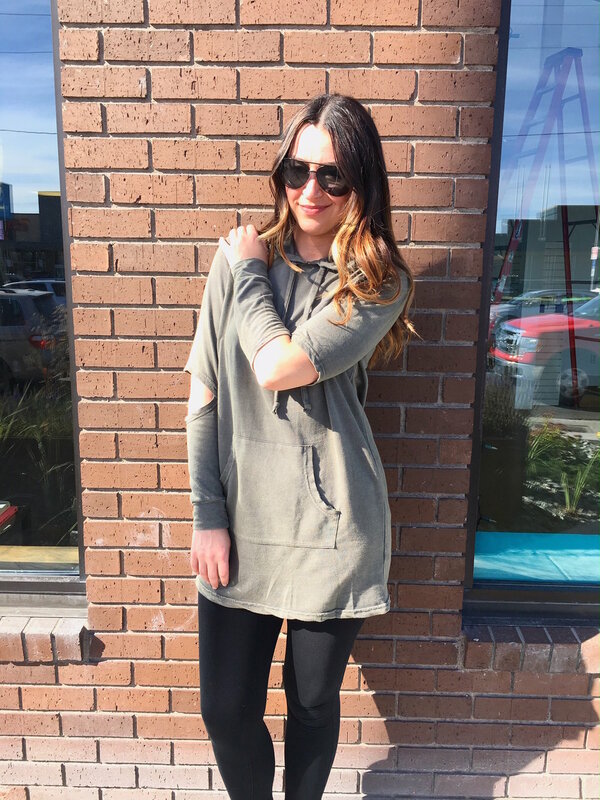 This olive green Umgee sweater is no exception! 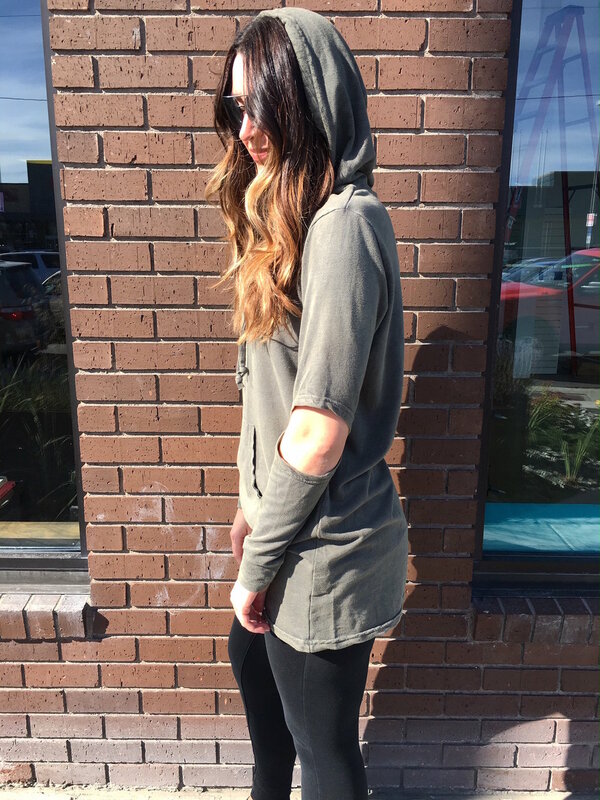 This comfortable but still stylish hoodie features cutout exposed elbows, functional drawstrings and a big kangaroo pocket. Depending on your size, this sweater also can be worn as a dress! We only have a few of these fun funky sweaters left so make sure to gets your now!